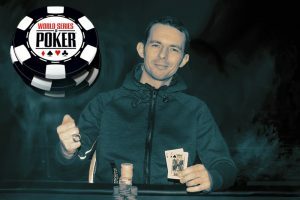 Stanislav Angelov, a Chicago-based limousine company owner who is looking to become a full-time poker player, won earlier this week his second WSOP Circuit gold ring in just as many months. 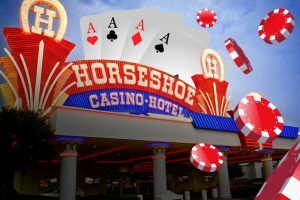 Angelov claimed the $400 No-Limit Hold’em 8-Handed title at Horseshoe Tunica, where the WSOP Circuit’s current stop is taking place. The player won his second gold piece from the series and added $25,145 to his poker bankroll. Angelov was one of the tournament’s 311 entries. The field created an overall prize pool of $102,630. Aside from the winner, who scooped the top prize, as many as 31 other players received a share of the prize pool, with min-cashes being worth $661. The tournament took place over a single day earlier this week. Its 30-minute levels allowed for action to unfold rapidly until the initial field was whittled down to just the nine players who comprised the unofficial final table. Each of those lucky players had secured a minimum payout of $2,164 ahead of the start of that final stage of the event. Angelov was the chip leader at that point in play. The player entered the unofficial final table with 850,000 in chips and a comfortable advantage over the rest of the hopefuls who were eyeing the title and the first-place prize. Harold Lackwood with 785,000 and William Stanford with 645,000 were the other two players to make it into top three of the pre-final table leaderboard. Angelov never really lost his momentum throughout the final table. Eventually, it was him and Larry Riggs, a player from Maysville, North Carolina, who were left to square off in a final heads-up duel for the title and the accompanying gold ring. An all-in confrontation that saw Angelov table a winning [Ad][Ks] hand that put an end to the tournament. As mentioned earlier, Angelov scooped $25,145 from the event’s prize pool for outlasting everyone else who took part. As for Riggs, he had to settle for a consolation prize of $15,535 for his deep run and runner-up finish. In his post-victory interview with WSOP Circuit staff, Angelov attributed his success in the 8-handed event to running pretty good. The player also said that he has been trying to play the circuit more often as he has been looking to become a full-time poker pro. The gold ring at Horseshoe Tunica was Angelov’s second piece of gold from the popular poker series in just as many months. The player won his debut gold ring in late November for taking down a $250 buy-in tournament at Harrah’s Cherokee in North Carolina. He also scooped a payout of $30,898 for his triumph, his largest-ever cash from the WSOP Circuit. Bearing in mind his good run over the past couple of months, it should be noted that Angelov up to a great start of a poker career.